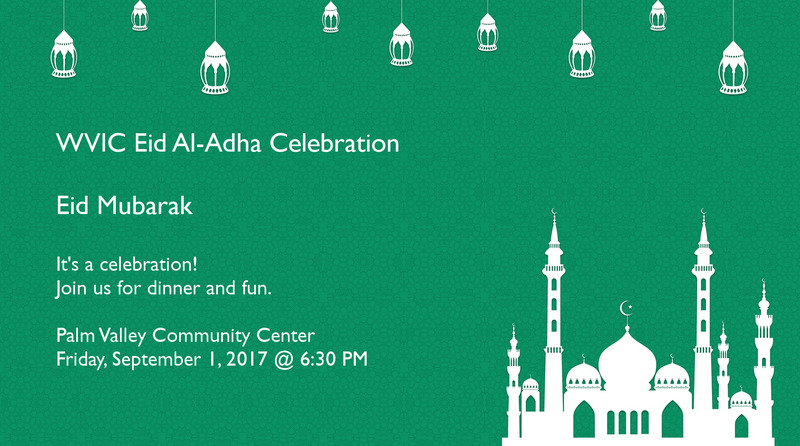 All are invited to the WVIC Eid festivities. Join us for dinner and fun, but buy tickets online to secure a spot. Just go to our event page and click "Tickets" get started. When - 6:30 to 9:30 PM, Friday, September 1, 2017. Fee - $25 per person. Children 2 and under are free. 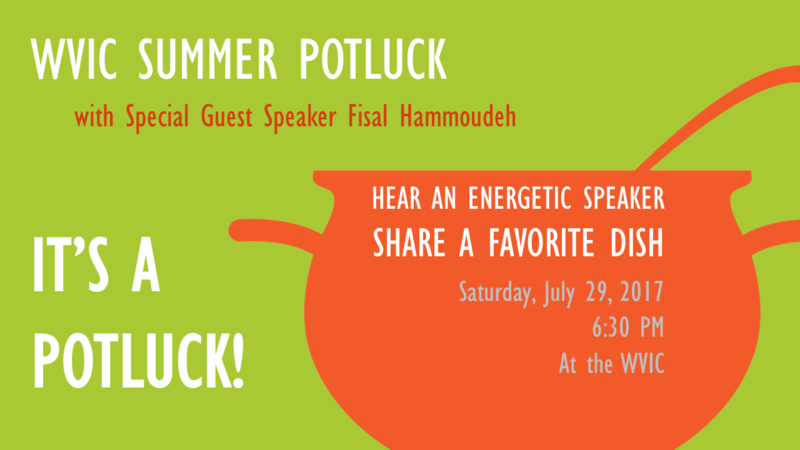 Join us for an end-of-summer get-together with good food and a great speaker. We are honored to have Fisal Hammoudeh travel a great distance to be with us and give us a great, energetic lecture on unity and Islam. See you there and don't forget to bring a dish! All are invited to the WVIC Eid festivities. 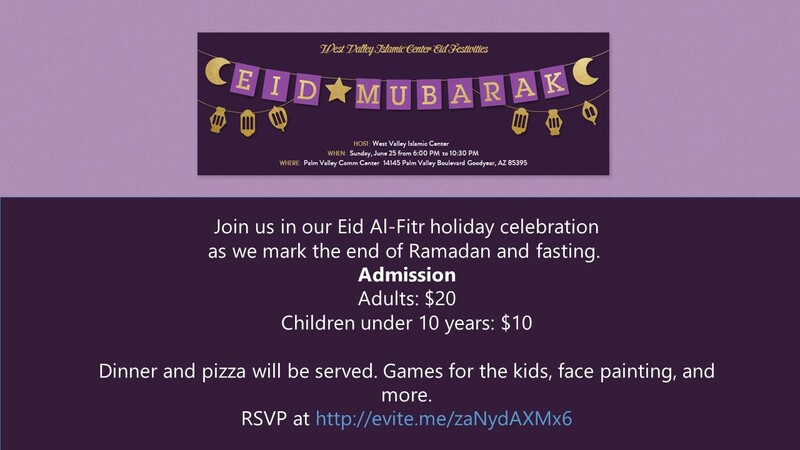 Join us in our Eid Al-Fitr holiday celebration as we mark the end of Ramadan and fasting. When - 6 to 10:30 PM, June 25, 2017. Fee - $20 per adult. $10 per child under 10.